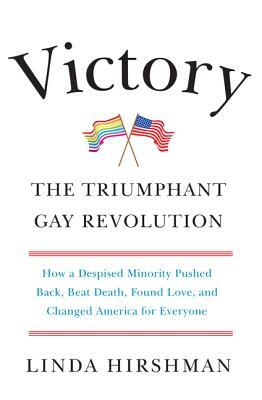 Linda Hirshman is a lawyer, a cultural historian, and the author of Victory: The Triumphant Gay Revolution and many other books. She received her JD from the University of Chicago Law School and her PhD in philosophy from the University of Illinois at Chicago, and has taught philosophy and women’s studies at Brandeis University. Her writing has appeared in the New York Times, the Washington Post, Slate, Newsweek, the Daily Beast, and POLITICO. She lives in Arizona and New York City. — Eric Marcus, author of Making Gay History and What If Someone I Know Is Gay? “Hirshman provides an excellent and very readable history that is buttressed by an impressive amount of research and personal interviews.